Our Extra-Curricular provision in Drama is superb this term. costumes, props, sound and lighting - this list is almost endless. Please come and see Mrs Bart-Williams or Mr Comiskey and get involved! Drama at TBSHS is a very popular subject, in both lessons and as an extra-curricular option. At Key Stage 3 pupils have a one hour lesson of drama per week and Key Stage 4 begins in Year 9 with 4 hours per fortnight. We now follow the WJEC Eduqas syllabus at GCSE and A Level. We have 3 Drama spaces; a studio theatre, studio classroom and the main school hall. The student’s at TBSHS produce high quality work year in and year out which allows them to access the top grades within the subject. All exam work is showcased and open to the public on designated evenings throughout the year. Please check the school calendar for exact dates. Every year we stage a Whole School production incorporating over 60 students from Year 7 to Year 13 alongside various drama examination performance evenings. This year on November 29th & 30th we will be putting on A Midsummers Night’s Dream. 2017 – 2018 Whole School: School of Rock, Upper School A2 Devised Evening, A2 Duologue evening, The Ash Girl by Timberlake Wertenbaker Year 12, GCSE Performance evening showcasing a range of plays, Year 10 Theatre in Education performance to local primary schools, House Drama and Showcase. 2014-2015 Whole School: Guys & Dolls, Upper School: Agamemnon, Road, Two. A2 Devised Evening: Evening, GCSE Examination Performances, A2 Primary School Performance. 2013-2014 Whole School: Grease, Upper School: East, Pool No Water, Black Comedy, Two. A2 Devised Evening: Evening, GCSE Examination Performances, A2 Primary School Performance, 5th Anglo-Dutch Drama Festival hosted by TBSHS. Whole School Show, a whole school show is put on every year. We try to alternate between a musical and a straight play allowing all students the opportunity to shine and showcase their talents. Exam Showcase Evenings, We have four evenings per year where students from Year 10 – 13 showcase their performance exam work. House Drama, a student directed competition judged by professionals in the industry. Showcase, student talent show run by 6th form to raise money for charity. Clubs: Lower School Drama Club, Middle School Drama Club, Technical Theatre Crew, Monologue/ Audition workshops. Whole School Productions. Recent Workshops: Frantic Assembly, Filter, Ad Lib Theatre Stelllenbosh University, South Africa, Rough Fiction and Professional actors Q&A. 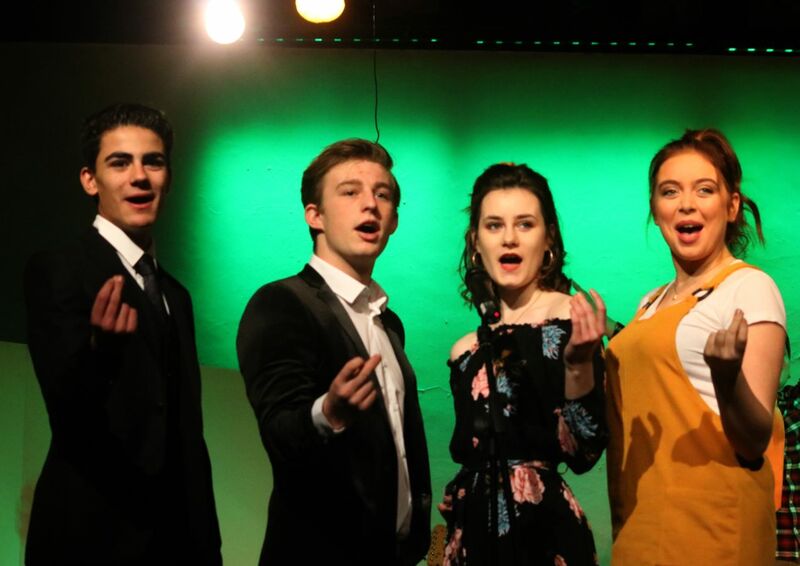 A few of our students have performed in professional West End shows at Regents Park Open Air Theatre and National tour, The Globe Theatre, The Royal Court, The Apollo Theatre, The Donmar, The Phoenix. One student is filmed a BBC 2 pilot called ‘Home Office’ and Casualty. Two students are in The National Youth Music Theatre (NYMT) and two in National Youth Theatre (NYT) several have gone on to read Theatre Studies at University/ Drama School.